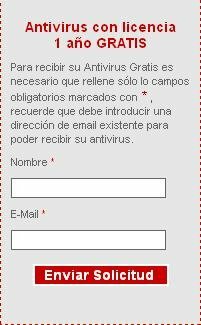 Securitas Direct, Spanish Alarm Security Company is giving out BitDefender Internet Security 2009 with 1-year update subscription for free with the following steps. Visit thisÂ Promo pageÂ link and enter your name and e-mail in the box on the left. UPDATE :The offer is expired now. The key for the software will arrive in the e-mail shortly. Download BitDefender Internet Security 2009 English Version. Use the key in the e-mail to register and activate the software. 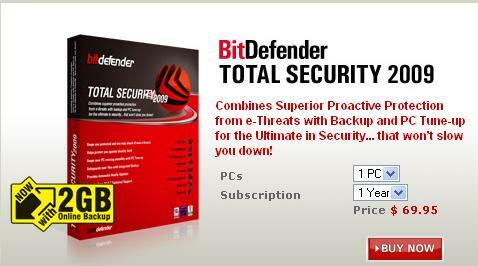 BitDefender Internet SecurityÂ usually costs about $69. @Asri, obviously you didnt see the submit form as this offer expired in just 1-2 days and you are checking it now. Keep visiting here regularly if you want to grab offers like this.